This Custom Zambizi Utility knife from Burger Knives features precision fit and finish with smooth action and solid ergonomics. 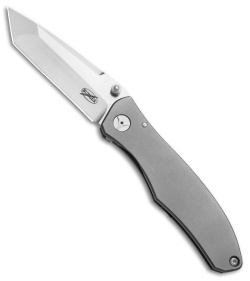 Its satin finished tanto blade is made from RWL-34 steel for strength and durability. 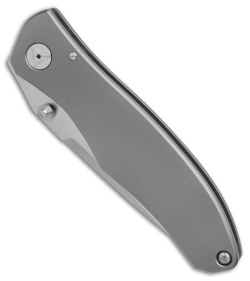 The G5 titanium handle has a matte gray finish and a comfortably contoured design. 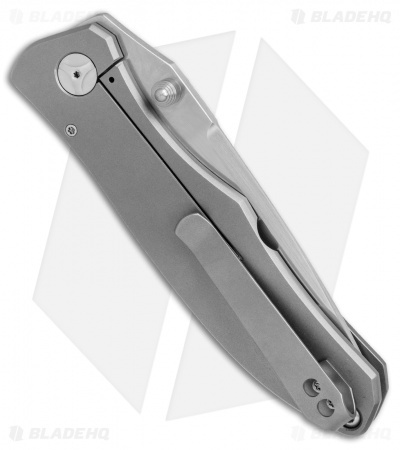 A deep carry titanium pocket clip allows right side, tip-up carry.